Chris purchased his first record in 2013 and hasn’t looked back. His collection spans all things House, Disco, Garage, Funk, Boogie and Hip Hop. 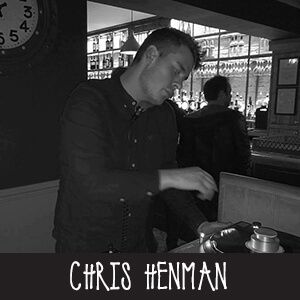 He debuted as a guest DJ for the Samurai Soul night at the Mulberry back in 2015 and has since joined his older brother to become a regular fixture for the night. This will be his second time DJing for the Love Life cause.